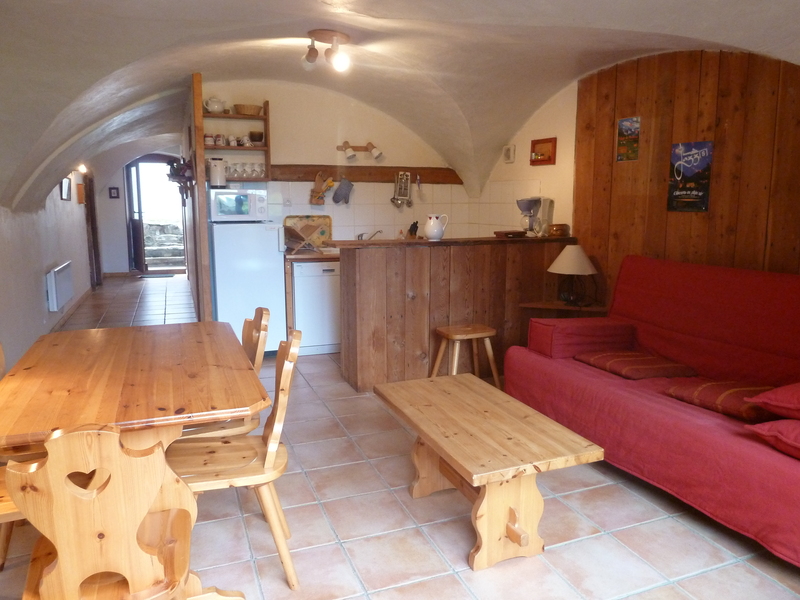 La Chiserette - chalet 5 pers. From 04/30 to 12/10/11 : open daily. From 12/17/11 to 04/28/12 : open daily. 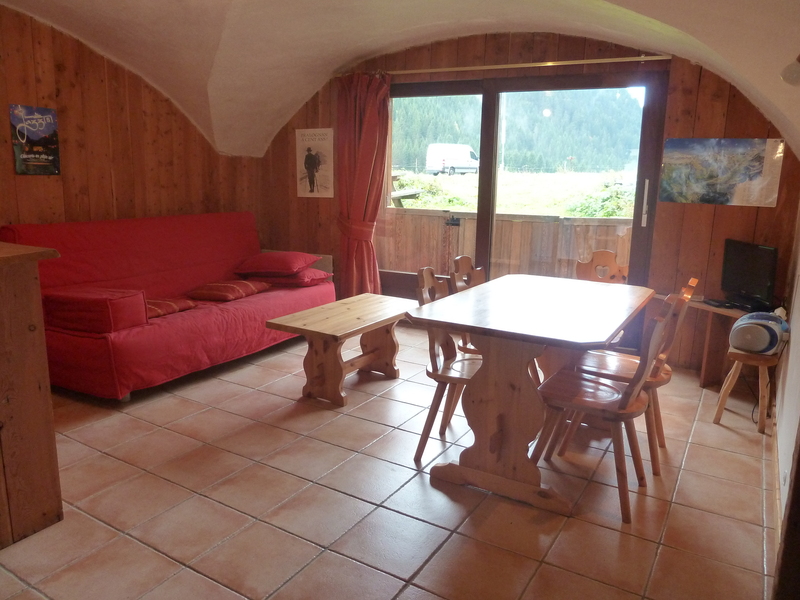 Apartment (1 living-dining-kitchen + 1 bedroom), 44m², designed for 5 people, in a semi-detached chalet in the valley of Champagny le Haut (listed as one of the "natural sites and monuments of France"). Five kilometres from the main village and the cable car. 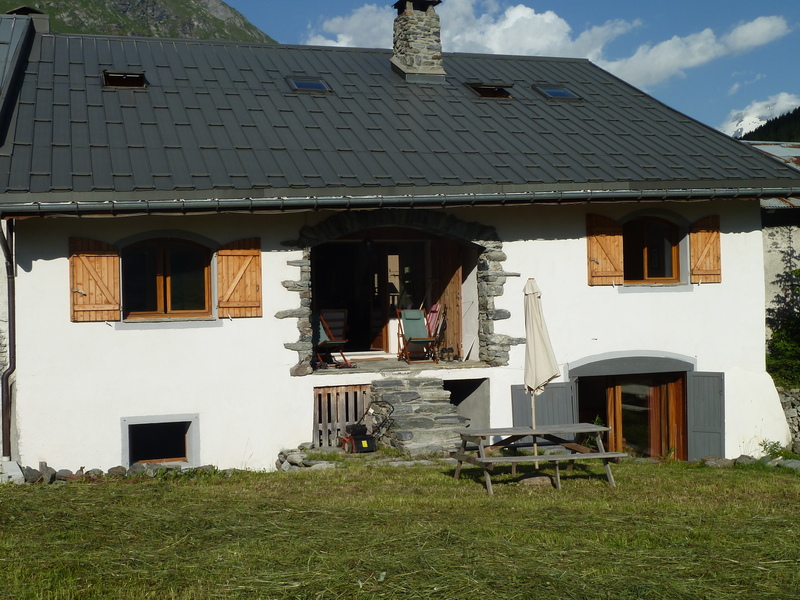 In winter, free 25-seater shuttle bus service between Champagny le Bas and Champagny le Haut: 17 round trips per day during French school holidays, 8 round trips per day outside French school holidays.